The principal shareholder at BLender, Aviv Technology Development is the Aviv Group’s investment arm. Aviv Group, one of Israel’s largest, most established construction companies operating since 1963. The company has vast experience in building complex and extensive engineering projects for residential, commercial and public construction and infrastructure in Israel and overseas. Since its establishment in 1963 by the late Moshe Aviv, the company has left its mark on the Israeli construction scene, serving as a contractor-performer for wide-ranging and groundbreaking projects. Blumberg Capital is an American venture capital fund that invests in early-stage companies. The fund partners with exceptional entrepreneurs with transformative ideas to innovate and build successful technology companies on a global scale. The Blumberg team has extensive experience with companies in the financial services, security, enterprise software, software sold as a service (SaaS), digital and social media, mobile and e-commerce. Blumberg Capital is based in San Francisco, with offices, staff and consultants in Tel Aviv and New York. The fund specialize in leading Seed and Series A rounds collaborating with angel investors, other venture capital firms and strategic partners. Some of its investors serve on the boards of its companies, working to support entrepreneurs and expand their networks. It incumbent board members and working to expand the network and support entrepreneurs. Typical initial investments range from $500,000 to $5 million, with additional amounts reserved for follow-on investments. 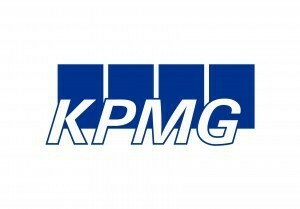 KPMG is one of leading professional services firms, providing a wide range of world-class audit, tax, consulting, financial advisory and trust services. Through 60 partners and directors and over 1,100 employees, they serve domestic and international clients, banks and public institutions and promising fast-growing companies whose shares are traded on the U.S. and European capital markets. The Lahav Fund was established in early 2013 by Giora Offer and Yael Git, in cooperation with kibbutz movement agencies. The Lahav Fund provides financing or invests in medium-sized companies (“middle market” firms) in the industrial, commercial and services sectors. The fund raised NIS 125 million and has invested a total of NIS 75 million since its establishment, some in conjunction with other financial institutions. The fund’s loans to individual borrowing companies range from NIS 5 million to 30 million. Giza Singer Even provides BLender Global with professional advisory services on various topics relating to development and business development models and has accompanied BLender through several funding rounds to expand its operations. Giza Singer Even Ltd. is Israel’s largest financial advisory and investment banking firm, operating for over 30 years. The firm is deeply and extensively familiar with the leading players, funders and investors in the local market and has played a central role in most major transactions in a variety of sectors. The firm works with the majority of the banks and institutions, advises most of the leading companies in the industry and works with the various regulatory bodies. BLender Global’s legal counsel, Barnea & Co., is one of the leading law firms in Israel in the field of commercial law. The firm represents local, international and multinational public and private companies, institutional investors, venture capital funds, construction companies, developers and start-ups, and provides them with legal services in a variety of areas, including corporate law, mergers and acquisitions, infrastructure and project finance, litigation, real estate, capital markets and securities, technology and life sciences, taxes, the Internet, e-commerce, gaming, online financial trading, labor law, the kibbutz sector and insolvency. As BLender Global’s security and privacy managers and consultants on IT regulation, Primesec provides enterprise security solutions for securing enterprise information and regulations in technology, taking into account the organizational needs in general and the individual information systems in particular, and advises a large number of customers in all sectors of the economy, such as Menora Mivtachim Insurance, Clal Insurance, Shomera, Mercantile, CAL, Ben-leumi Bank, Meitav Dash Investments, Halman Aldubi and more.